Bride Grooms at the ready. 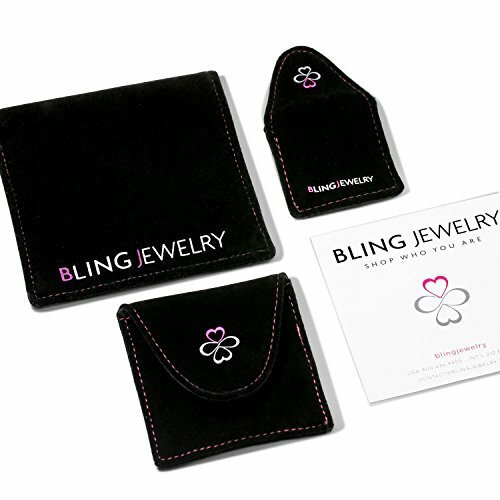 Get in on the amazing deals we have with our cufflink jewelry. These groom cufflinks are a great detail for your wedding attire and will show how proud and happy you are to become that special persons husband. 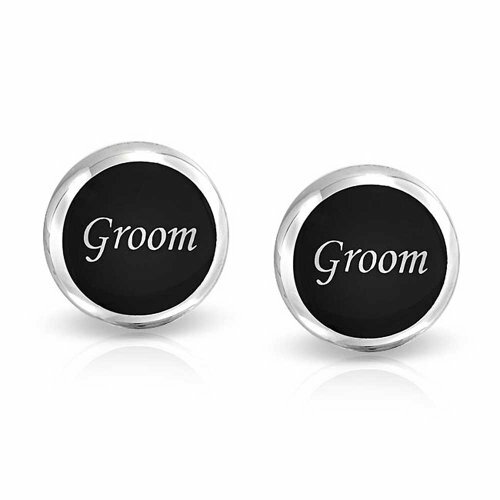 Black enamel and stainless steel plating are used to make these gorgeous bridegroom cuffs. 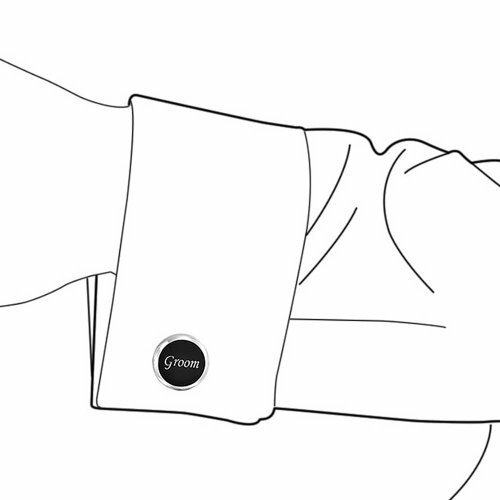 A torpedo toggle back will keep these cufflinks for men securely on your wrist. The wedding font script of Groom will proudly declare who you are. The Groom. The Husband to be. 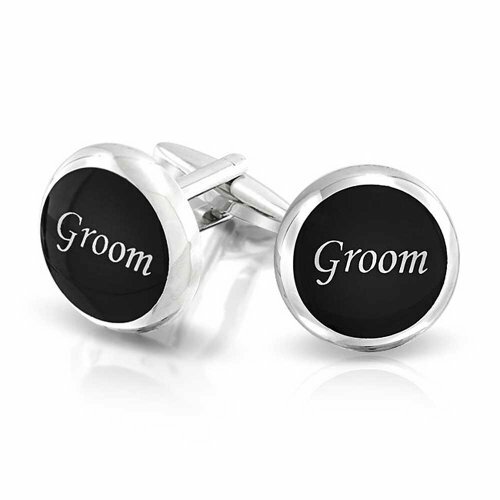 Let these fun mens cufflinks show the world how glad you are to be getting married.